Breast Cancer Action is part of the national Safer Chemicals, Healthy Families Coalition, working to create federal policy that will stop cancer before it starts. The coalition is asking President Obama to create a national cancer prevention plan that includes the regulation of cancer-causing toxins. Please join us in asking President Obama to create a national cancer prevention plan—including federal regulation of cancer-causing toxins. Last year, the President’s own panel of cancer experts confirmed that exposure to toxic chemicals is an important but under-recognized risk factor for cancer. The President’s Cancer Panel urged President Obama to “most strongly use the power of [his] office” to eliminate human exposure to cancer-causing chemicals. We couldn’t agree more. 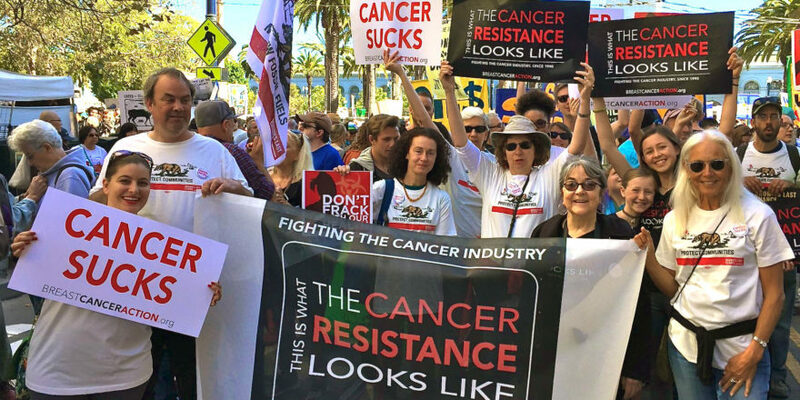 BCA and the rest of the Safer Chemicals, Healthy Families Coalition are looking for 100,000 people to demand a plan for cancer prevention; will you join us?